Terrorism is a perilous phenomenon supported by a number of countries in the region. Debate on terrorism is one of the most crucial, serious and fateful issue and we can only overcome the phenomenon by making the nation get united and joint effort that should be made by world and regional countries. Afghanistan in close cooperation with the international community has been fighting terrorism and extremism for the past 17 years, but the effort has been somehow unsuccessful as security situation is deteriorating day by day in the country. At the beginning of war on terror in Afghanistan, there has been serious and common decision to fight terrorist groups and their supporters and it has been the complete defeat and rooting out the groups as the coalition forces reached the biggest achievement in very short time. 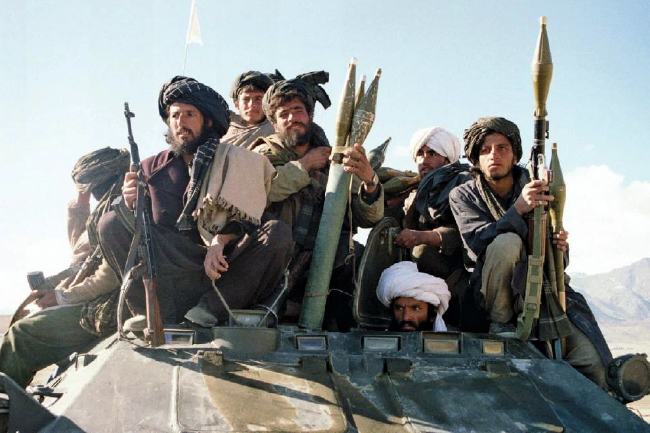 The Taliban regime was toppled and the group forces along with members of al Qaeda were obliged to leave the country. Supporting the Taliban group and al Qaeda and providing them safe havens in Pakistan by the country’s government was a perilous policy that has been paid no considerable attention by coalition forces and NATO member countries. Pakistani officials by using of its relations with US have tried to separate the Taliban group from other terrorist groups and convince the international community that the Taliban group is not the enemy but has only political problem with Afghanistan government. The issue, in fact, has provided pavement for returning of the Taliban group to Afghanistan. The policy that had been followed in past years by the government and international community was a policy that called the Taliban group as a domestic insurgent group and split up the group from other terrorist groups. Although most of media as well as political and military analysts had criticized the policy and considered it as harmful for peace and security of Afghanistan, such criticisms have never been heard, instead Taliban were called as brothers by the most high-level officials of the country. Most of key commanders and leaders of the group were released from Bagram prison and other prisons of the country, names of some members of the group were removed from UN blacklist and military operations against the group was slowed down and the group was allowed to open a political office in Qatar. Such steps have given legitimacy to the Taliban group and somehow changed the group to a political and domestic opponent group of Afghanistan government, while the group is responsible of more than 80 percent of explosions, violence and suicide attacks that kill and wound dozens of innocent Afghans in a daily basis. Currently, the approach of the international community and Afghanistan government are focusing on peace with the Taliban group, which is a good step to end the ongoing war in the country as all Afghans are also in favor of ending the war through negotiations with the Taliban group.